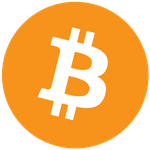 Our family is now on Day Nine of our cross country Bitcoin-only tour and we have used various Bitcoin friendly services to book our hotel rooms. The first service we used was Gyft to purchase globalhotelcard.com gift cards. We booked our hotels in Baton Rouge and Atlanta this way without a hitch. The payment confirmed instantly and our hotel room was ready for us upon arrival. The third night we decided to use Expedia because we heard they recently started accepting Bitcoin on their site. We found an affordable room and paid with bitcoin through Coinbase. We waited for a confirmation but nothing happened. We called the hotel to see if they received confirmation of our itinerary and they said nothing had come through. Not only did they not receive the confirmation, but we were informed they were overbooked. At this point we got worried. When you pay with bitcoin, transactions are final. Had we sent the money to the wrong address? We called Expedia and waited on the phone while their call representative contacted the hotel. After 20 minutes the payment finally confirmed with Coinbase and Expedia gained access to our itinerary. This began an hour long process of repeating our story to various customer service supervisors and account specialists. An hour later, with sleeping kids in the car, we found a woman who switched us to a new hotel. She offered a 100 dollar voucher and a 25 dollar refund from our original purchase. We felt whole again as we slept in our swanky hotel, despite waiting 1.5 hours to resolve the situation. Five nights later we took off from NYC toward our destination of Lancaster, NH. We left way later than planned for various reasons. The first delay was a last minute invite to screen our sovereignliving.tv show at the NYC Bitcoin Center. The second delay was a mugging that we witnessed in Manhattan on our way home. We stayed to comfort her and walk her to safety. We decided to try and drive to Springfield, MA, the halfway point to Porcfest in Lancaster, NH. This would give us enough time for a slow morning with the kids, grocery shopping, and still arrive to the event in time for my Women in BTC Panel at 3pm the next day. After we hit bumper-to-bumper construction traffic in southern Massachusetts we decided to stop as soon as possible and sleep. We went online to book a hotel with our Expedia voucher, but found that it had not been applied to our account. When I called to talk to customer service I was directed to a supervisor who offered a 200 dollar voucher and no BTC refund as initially offered. We excitedly accepted and waited on hold. I was using John’s phone new phone and didn’t realize it was dying. We got disconnected and tried to call back. This began yet another string of conversations with customer service and supervisors. They refused to route my call to the same guy, Paul, who was thoughtfully helping us before. At one point I spoke to Supervisor Jessica in Central America. She raised her voice to me, told me I could have either a 25 FRN refund or a 100 FRN voucher. Those were my only options and she told me I could call the next day to talk to someone above her. Out of the ten customer service representatives we spoke to that night, only one even knew what Bitcoin was. It happened to be Jessica, the angry supervisor. 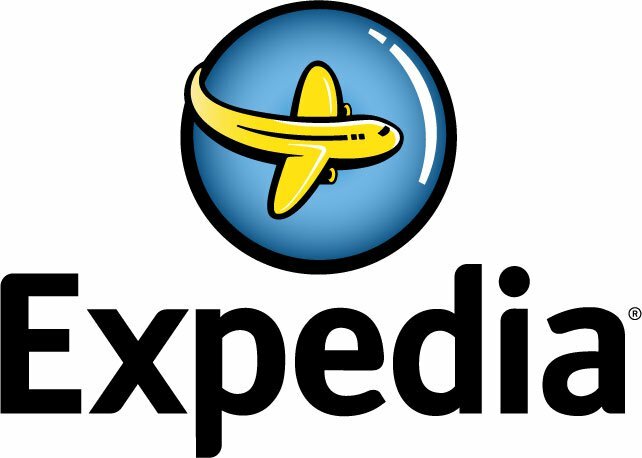 The lack of knowledge of Expedia’s acceptance of BTC was extremely discouraging. In exhausted tears I asked for the voucher and to be transferred to someone who could book our room. She then put me on hold for over 20 minutes until I hung up and called back. The next representative tried to book our room, but could not figure out how to apply a voucher and let us pay the difference in bitcoin. I then tried to book the hotel on Expedia’s website, but it was after midnight and I could no longer pick the right date. I then tried our trusted Gyft site to purchase a globalhotelcard.com gift card, but ran into the same problem. It was after midnight and I could not select the right dates. Again we called Expedia back and asked if they could give us another 25 FRN voucher instead of the 25 BTC refund so we could book our room. They said yes, gave us a $50 voucher, then informed us they could not apply two vouchers to one transaction. I told the woman we were trying to travel on BTC only and that the situation was really jamming us up. At this point she said the only thing we could do was to pay the 21 FRN tab with a card, or not get a room that night. We literally had no way to pay with BTC and John was exhausted to the point of near tears himself. I sobbed like a baby as he read the card number to her. I was devastated that we could not pay with BTC. We finally checked in to our hotel after 3 AM. Thank goodness our babies slept through the entire ordeal. While we were initially excited that Expedia is accepting Bitcoin, they still have a way to go in terms of customer service. Third party merchant services are a necessity until more hotels are accepting Bitcoin directly, like the Holiday Inn Express where we stayed in Brooklyn, NY. For now, when booking hotels our family will stick with Gyft to buy globalhotelcard.com gift cards. 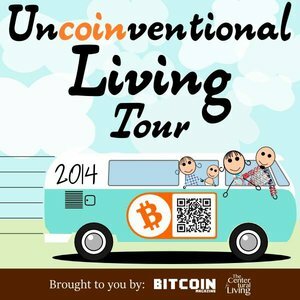 You can follow the rest of our journey via www.uncoinventional.com.